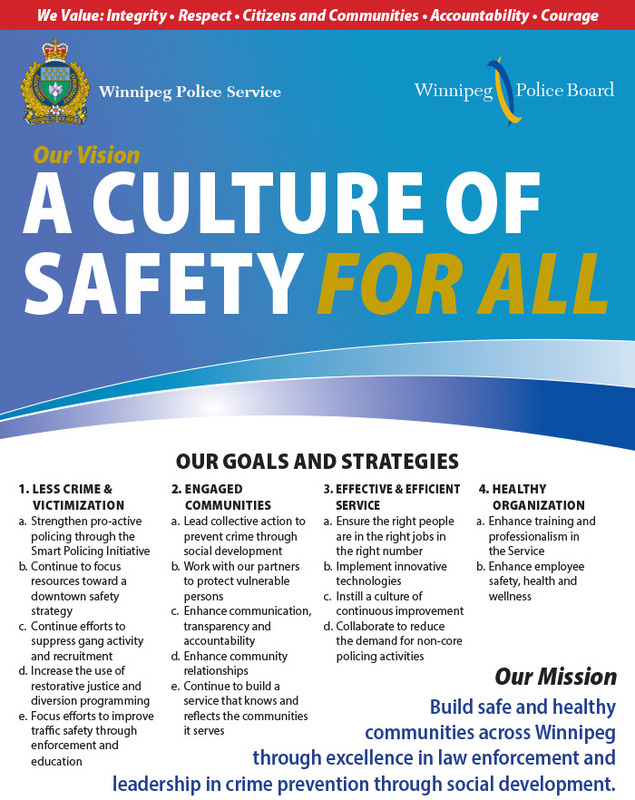 In November, 2011 the Winnipeg Police Service formally introduced our Strategic Plan for 2012-2014. This document defined the long-term goals of the Winnipeg Police Service and established measures to determine the progress towards those goals which are identified as action items. On May 19th, 2015 the Winnipeg Police Service concluded the 2012-2014 Strategic Plan with the release of it's final Report Card in conjunction with the release of the Winnipeg Police Board's 2015-2019 Strategic Plan.